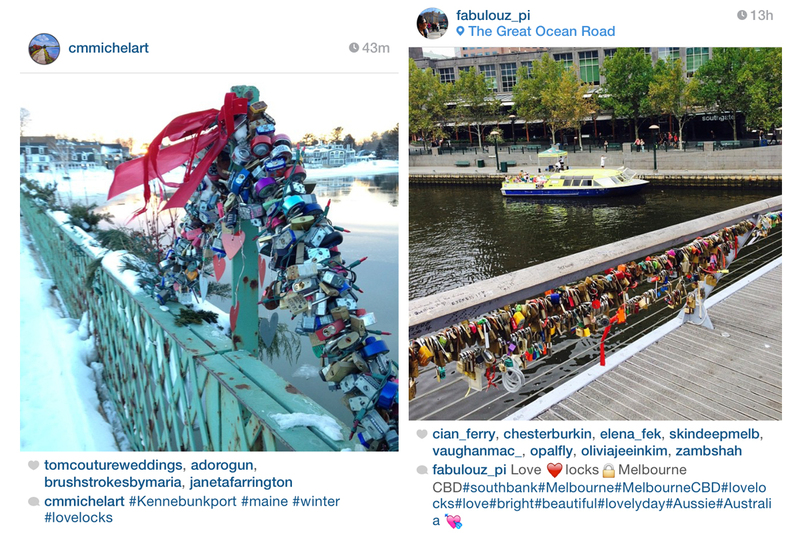 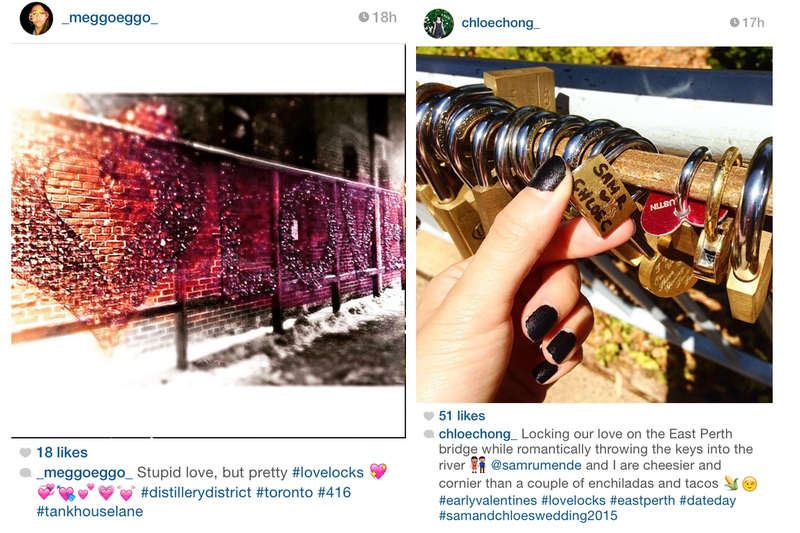 As a prelude to this global day of love, I took a stroll through the Instagram hashtag Lovelocks and I loved what I saw. 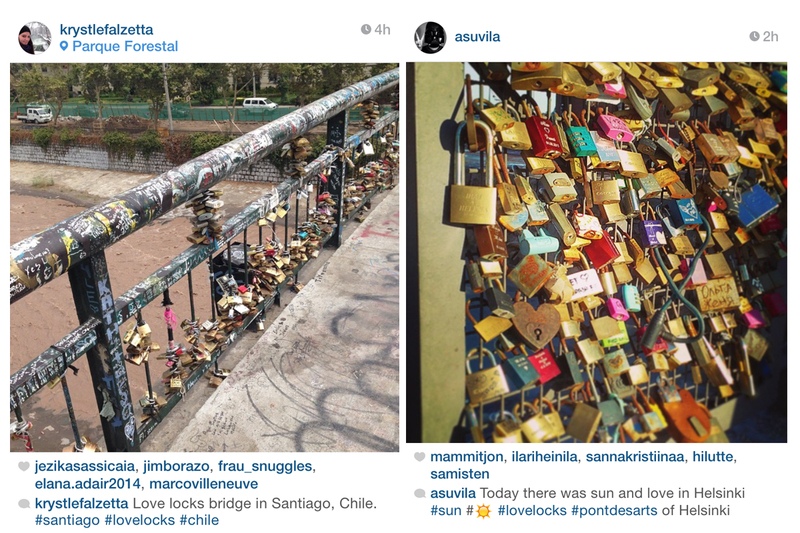 While Paris is obviously famous for being The Origonal City de l’amour and the Pont de l’Archevêché and Pont des Arts are as notorious for being where lovers can place a padlock on the bridges as a symbol of, well, their eternal love – the key gets thrown into the river therefore bonding the couple forever. 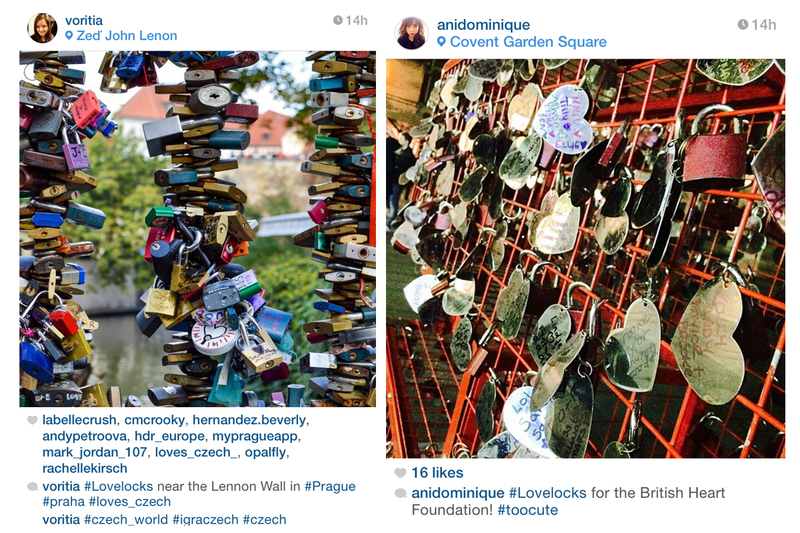 It was awesome to see where else all over the globe lovers are locking their affections – and so, here is a mini gallery of instagrammers who’ve #lovelocked the world over. 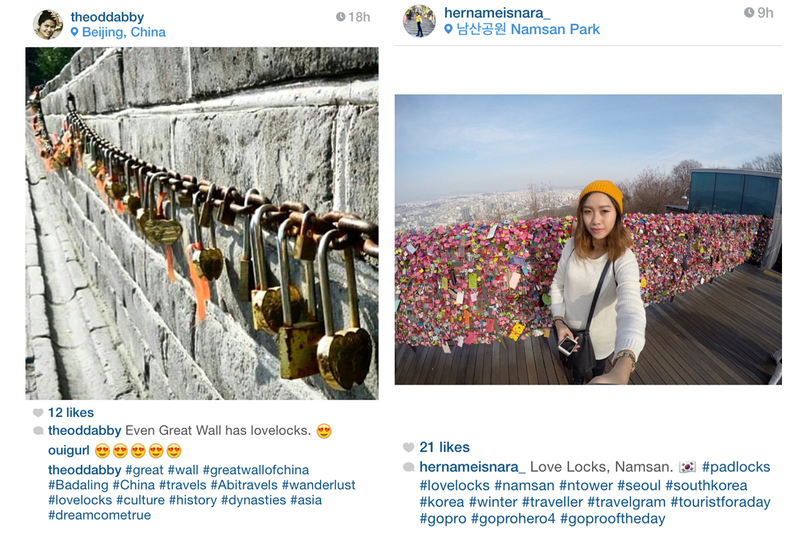 I hope you find your special spot!